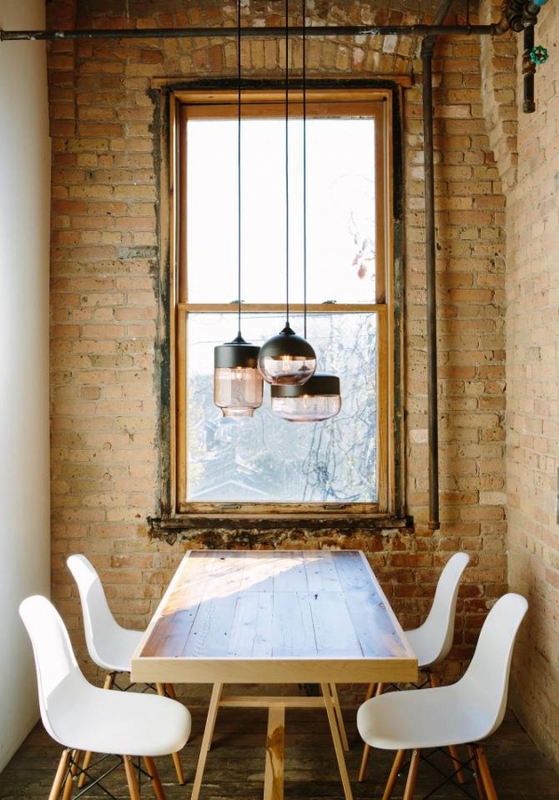 Minneapolis based independent glass studio Hennepin Made brings us a stylish range of pendant light fixtures guaranteed to light up our home, lifestyle and their style quotient. 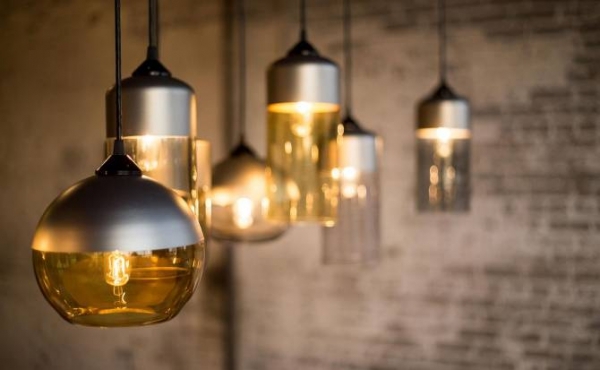 Available in a range of silhouettes, the Parallel Series of glass pendant lamps is individually hand crafted on an artisan scale. The final product is therefore beautifully detailed and finished, bathed in the infinite attention and care that sets contemporary handcrafted home décor apart. 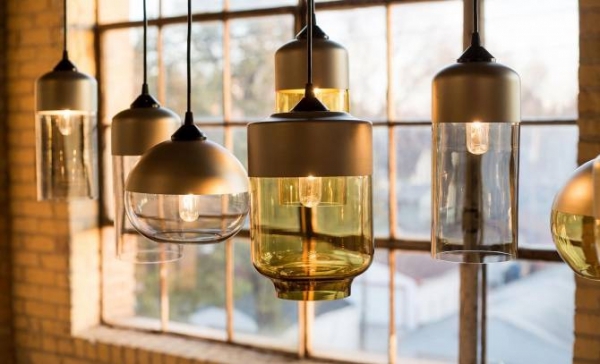 These beautiful light fixtures are made of hand blown glass, carefully crafted in Hennepin Made’s Minneapolis studio, and locally sourced spun aluminum. 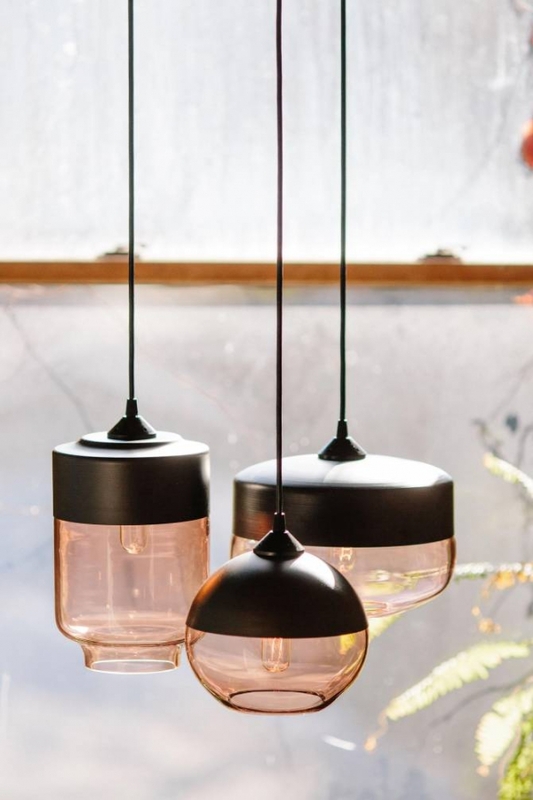 The contrast of the two materials gives these glass pendant lamps a distinctive flavor and aesthetic that marries and balances the delicate with the solid, the temporal with the eternal. 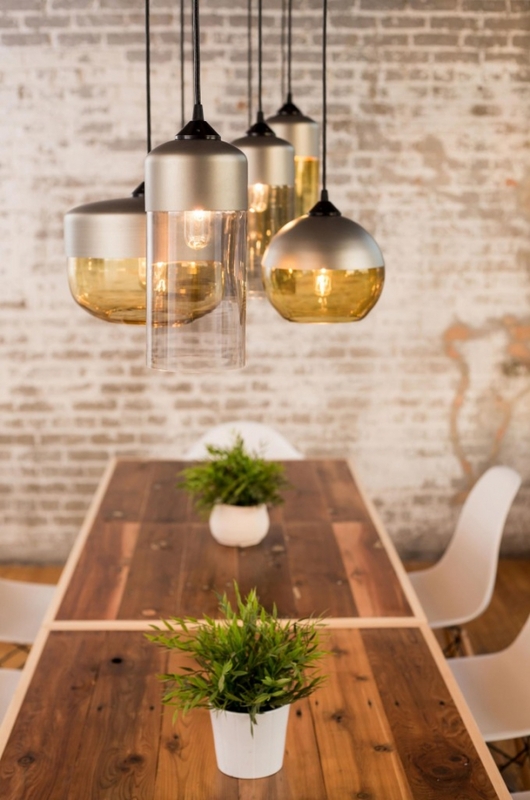 Distinctively modern in flavor, they can be combined to create stunning compositions over your dining or coffee table, or can be suspended elegantly by themselves. The glass is blown into an array of profiles, which include traditional forms such as spheres, cylinders and canisters as well as more contemporary outlines such as tear drops and orbs. These are available in a range of seven stylish colors – tea, sapphire, ruby, bronze, olive, crystal and smoke; the handspun aluminum fitting comes in champagne and dark bronze options.